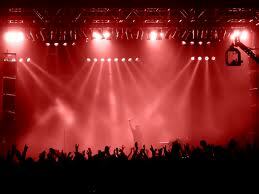 Almost everybody at some point in their lives have attended a loud concert or loud nightclub. Almost everybody will also recall a temporary reduction in their hearing with or without ringing afterwards for a short period of time. This phenomenon is called temporary threshold shift (TTS) whereby the affected person has a temporary hearing loss that may last hours to days due to temporary damage of the outer hair cells of the cochlea. If loud nose exposure happens enough times, permanent hearing loss can occur. For some, permanent hearing loss may occur after attending numerous loud concerts whereas in other more "susceptible" individuals, it can happen after a single loud concert. It doesn't even have to be a loud music concert. ANY loud noise exposure can do including shooting guns, listening to a portable music player like the iPod, fireworks, playing in an orchestra/band, etc. However, loud concerts are of particular interest given how many individuals are exposed all at once and provided a unique research opportunity which was presented on May 21, 2012 at the American Otologic Society Meeting in Los Angeles. The researchers (led by Dr. Jennifer Derebery of the House Ear Institute) essentially took hearing test before and after the concert of 29 teenagers. 72% suffered objective hearing loss after the concert though only 53% reported subjective hearing loss. 25% reported new onset tinnitus after the concert. Of note, hearing ear plugs were offered to the study subjects, but only 3 accepted them. Adult researchers who sat with the teenagers under investigation measured sound levels throughout the concert. During the 26 songs played during the three hour concert, sound levels ranged from 82 to 110 decibels with an average of 98.5 decibels. The mean level was greater than 100 decibels for 10 of the 26 songs. As a reference, ear pain occurs at 125dB. Jet engine noise is at 140dB. Sustained loud noise exposure of 90-95dB can result in permanent hearing loss. OSHA (Office of Safety and Health Administration) mandates workers to never be exposed to sound levels of 100dB for more than 2 hours per day (no more than 4 hours per day at 95dB). OR, the music volume at concerts should be turned down... No boos please.